Adam’s love affair for the new TBS Series Final Space continues unabated with the fifth episode of the Sci-Fi animated series. 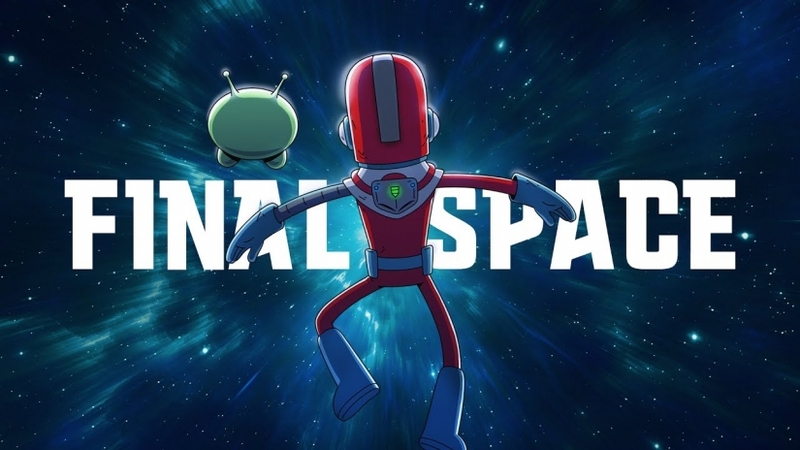 One of the many delights of Final Space is how readily Olan Rogers and the writers are willing to mix true pathos and humor that ranges from stupid to uncommonly smart. One would be hard pressed to find a live action dramatic series that is able to handle the issue of trust and betrayal with the sort of heft and grace Final Space does but manages to be laugh-out-loud funny at the same time. As the newly formed Trifecta of Gary, Quinn, and Avocato investigates the source of the gravitational disturbance that could be causing the rift in space that endangers earth they find a lot more than they bargain for. This episode serves as a way to solidify the team and their ability to work together and most importantly to trust one another. Rogers and Company have found delightful ways to subvert this story cliché and exploit it for maximum comedic and emotional effect. Yes, there are of course the traditional moments of realization that happen in these types of enterprises. Quinn has that realization but the moment that it’s done in and how everyone reacts is set for maximum humor and undercuts it in the best way possible. Though her ark is never diminished or disqualified. The writers show her a person between two sides and gives the respect to her plight. Takia Sumpter gives Quinn a warmth and edge in equal measure. Far too many female sci-fi characters are either the harden badass warrior or emotional wreck that line that’s toe here is refreshing. Though one does hope the writers stop making Quinn the go to “straight person” for comedic effect. That being said about Quinn, one will delight in the weirdness of the characters on display. Final Space has found its footing with its characters, proof by this episode stretching for something stranger in its characters. KVN (Fred Armisen) who seemed to be destined to be a visual gag has a story line that has oddly made him a compelling, albeit depraved, character. Avocato (Coty Galloway) is mutated to hugely comedic results throughout the episode. All that plus the episode manages to be one of the most thrilling episode of the series yet with a few key huge cracklingly good action set pieces. Needless to say Final Space has this review hooked for the immediate future.